Note the date, time and place of the accident. 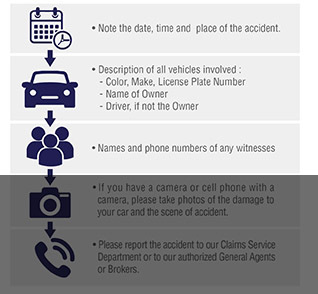 If you have a camera or cell phone with a camera, please take photos of the damage to your car and the scene of accident. 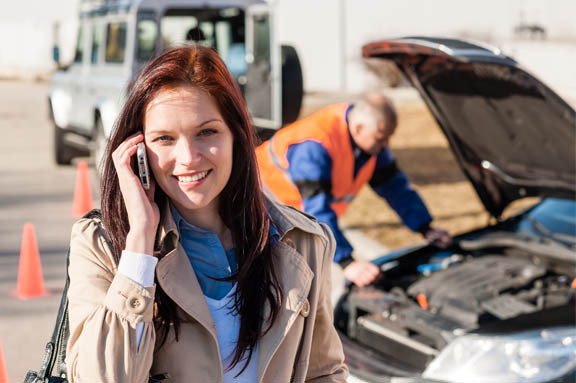 Please report the accident to our Claims Service Department or to our authorized General Agents or Brokers. • Please provide a written description of the loss and, to the best of your knowledge, how it occurred. • If you believe that a crime occurred, please report it to the police. Century Insurance Company (Guam) Ltd.